Welcome to Live Oak Veterinary Neurology. Live Oak Veterinary Neurology is the premier center for Veterinary Neurology and Neurosurgery in coastal Georgia and the Carolina Lowcountry. Located in the very heart of Savannah, GA with easy access from the surrounding areas, we offer medical and surgical therapy for diseases of your pets' brain, spinal cord, peripheral nerves, and muscles. 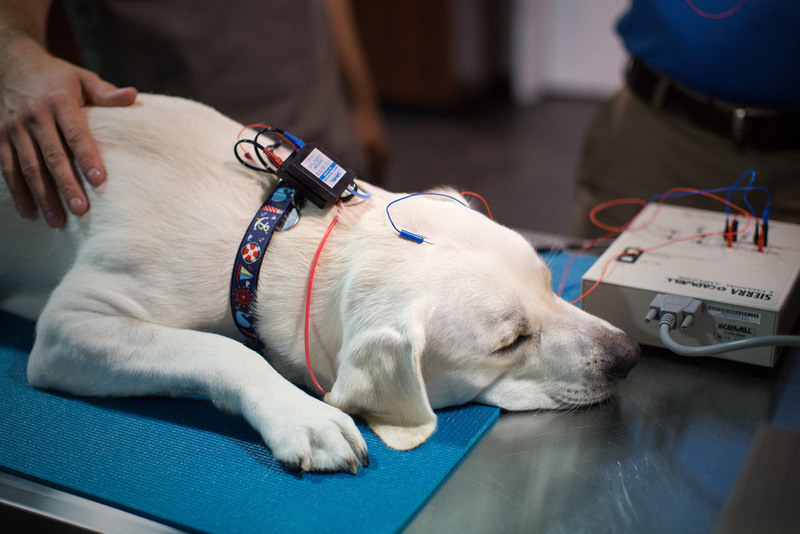 We have state of the art diagnostic tools and advanced training in electrophysiology and neurosurgery to provide you with the very best that veterinary medicine has to offer. When your pet has a neurologic problem, it can be difficult to know where to turn. Now, the pets of Savannah have a new choice in compassionate and expert care! Join the conversation; ask questions; and see what's new at Live Oak Veterinary Neurology! put us ahead of the curve in veterinary medicine. We work with your veterinarian as part of a team to treat long-term medical conditions like seizures. We have advanced training in neurosurgery and the experience and skill to give your pet the very best outcome. We have staff monitoring your pet 24 hours a day when they are with us. You can trust us to watch over them like our own! We are constantly striving to provide our patients and pet owners with cutting-edge technology!